Epilepsy is a neurological condition that affects the nervous system. It is also known as a seizure disorder and diagnosed when a person has two or more seizures that were not caused by some known medical condition such as alcohol withdrawal or extremely low blood sugar. There has been extensive research done on the causes and symptoms of epilepsy in order to formulate epilepsy treatment options. One should not try to hold the person and try to stop the convulsions once an attack occurs as it takes its own time to subside. In general, it is over within 1-2 minutes. It is also important that the patient should be duly cared for till he or she becomes fully conscious. He should be allowed to sleep after the convulsive attack is over and they should not be disturbed unnecessarily. And they should be constantly kept under watch. However, an emergency/first aid treatment or taking the patient to the hospital should not be unnecessarily delayed. An underlying cause of epilepsy, if applicable (a brain tumor, etc. ), must be treated and given the priority. However, a drug treatment to control epilepsy attacks remains the same whether the patient suffers from a case of idiopathic epilepsy or symptomatic epilepsy. As regards to medication, it is the rule that the patient should be given a single drug as a trial. The drug should correspond with the type of epilepsy the patient is suffering from. In other words, the type or pattern of the epilepsy attacks decides the choice of the drug. It is highly important that the drug should be given in proper dosages, depending on the age of the patient. 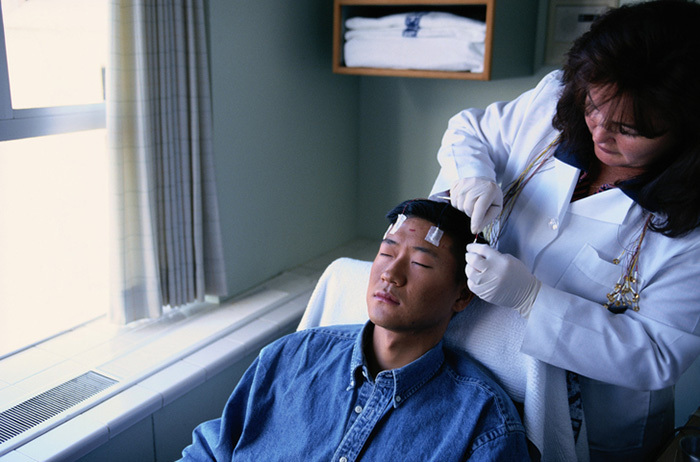 The goal of treatment is to reduce the occurrence of seizures and other uncomfortable symptoms associated with epilepsy. When deciding which epilepsy treatments are the most appropriate for your condition, there are many factors that must be considered. These include the severity of the seizures experienced, if you suffer from other medical conditions, and your general medical history. Here, you will be introduced to several of the common epilepsy treatment options. The patient is also required to know about the details of the toxicity of the drug that has been prescribed so that he can report to his physician well in time. In case the antiepileptic drug is being given to a pregnant woman, its effects on the fetus, which may cause congenital abnormalities in the newborn, should be explained to the woman. Many individuals are put on medications. These medications are in a class of drugs known as anticonvulsants. There are several different drugs that are used to prevent and stop seizures. The down side to drug treatments for epilepsy are the many uncomfortable and troublesome side effects that may be experienced while taking the medications. These side effects may include lethargy, cognitive complications, depression, other types of mood fluctuations, and even thoughts and attempts of suicide. A type of stimulation of a nerve that is identified by specialists called “Vagus” is a common treatment for epilepsy. The”Vagus” nerve is found on the back side of the neck and is a relatively large nerve. Specialists will send short, quick electrical bursts to this nerve so that they reach the brain. While this is not a treatment that has been used for a long time, it is a treatment that is becoming more common as it seems to provide a balance within the electrical circuit of the brain. There is a special diet that is low in carbohydrates and exceptionally high in fats that specialists may put epilepsy patients on to treat their condition. This diet works to ensure that the body burns the fat that it receives for energy rather than burning the fat for glucose. This diet has been found to assist individuals in experiencing less seizure activity. It’s important to consult a physician or specialist to decide which of the epilepsy treatment options will work best for you.